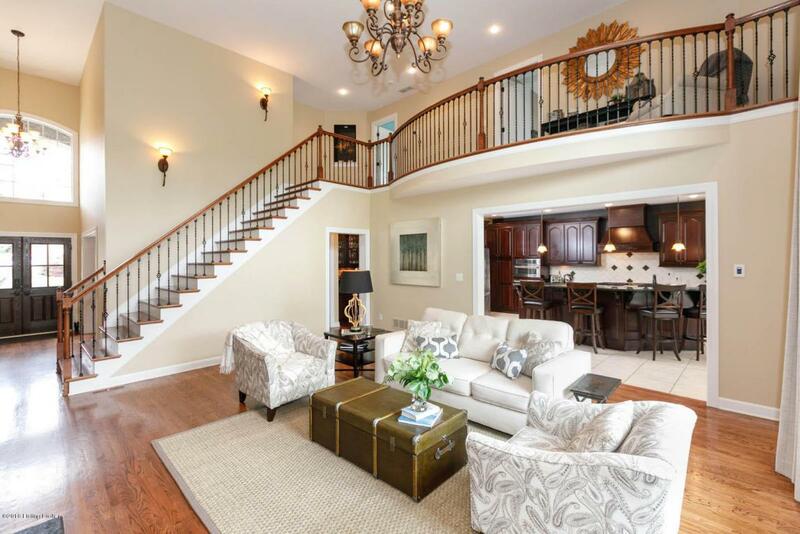 Super spacious and elegant home in the Beech Spring Farms community. The home welcomes you with a grand 2 story entrance and great room with gas fireplace and built-in cabinetry. Beautiful views from the huge picture windows with remote controlled curtains. Beautiful hardwood floors throughout the first and second floors. 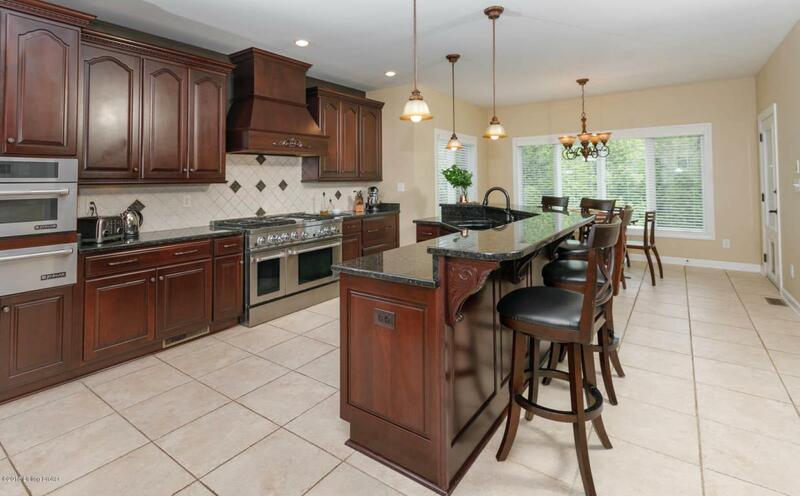 Gourmet kitchen should accommodate any chef with designer cabinetry and tile work, Jenn Air stainless steel appliances (gas stove), huge island offering plenty of extra seating, and a butler's pantry. You have dining options with a formal dining room or eat-in-kitchen area that is surrounded by windows offering gorgeous wooded views. 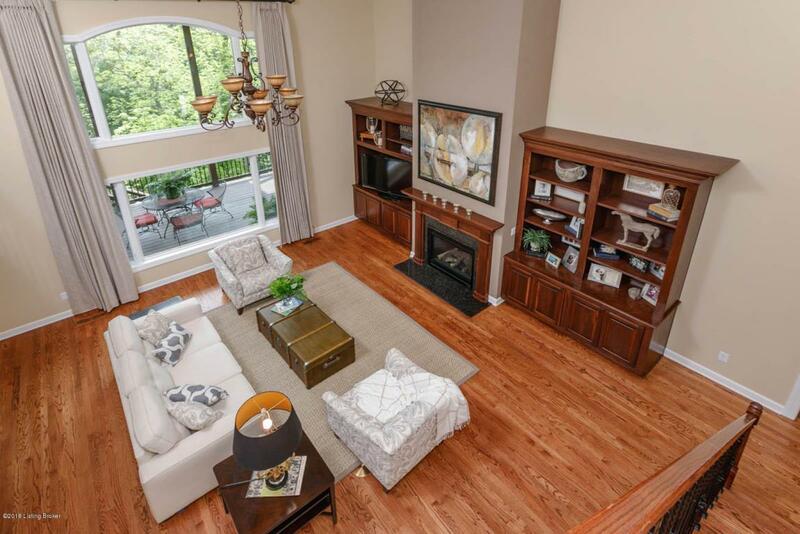 Large first floor master suite has a sitting room area that walks out to a covered deck. The master bath is an oasis with jetted tub, tiledshower, arched openings, double vanities, and custom closet (most closets in this home have been done by "Closets by Design"). Convenient first floor laundry room and half bath finish out the first floor. Upstairs has plenty of room for the rest of the family with 3 bedrooms and 2 full baths. Two of the bedrooms share a Jack & Jill bathroom and the third bedroom has it's own full bath. The finished walkout basement has something for everyone. There is a large TV / gathering area, game room with pool table, theater room with projector and in-house entertainment system, a kitchenette with granite, stainless steel appliances, custom bar and lighting. If you need even more bedrooms - no worries! There are two more bedrooms in the basement (currently used as exercise rooms) and a full bath. Enjoy the outdoors with two covered decks and fenced backyard.